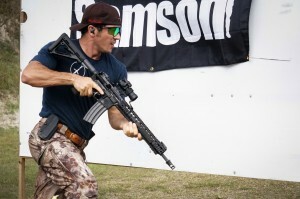 Earlier this year I had the opportunity to attend the inaugural United States Carbine Association Nationals. While I’ll have a full write up in the February issue of GunUp the Magazine I thought I would give the readers on Gun Nuts a quick run down of what the new association’s first Nationals was like – and why I think USCA is pretty awesome. First things first, USCA held their Nationals in a place I would totally go back to. New Smyrna Beach is located between Daytona Beach and Cocoa Beach, Florida, and is one of the top surfing towns in the world. It also tops the list for shark bites, but what’s life without a little bit of danger? 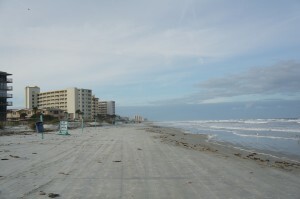 There are amazing burgers, fun towny bars, an adorable downtown and you can take a walk on the beach after the match. I seriously don’t know if I can attend a match anywhere else now. Beaches aside, the Volusia County Gun & Hunt Club where the match was held was a large and beautiful facility that allowed for some really creative stages. Shooters saw themselves shooting over faux rooftops, scaling ladders with their rifles slung, shooting their handgun while standing on top of a balance beam and making sprints mid-stage. USCA Nationals was much more of a physical match than a lot of us are used to seeing, and I think that’s excellent – there are plenty of matches out there without that element, it’s nice to see someone give a place to play to those of us who think trying to take controlled shots after a sprint sounds like fun. The other nice thing about USCA – and I mean this as no slight to multigun – is that there is no shotgun reloading. I don’t mind shooting a shotgun, but I hate reloading the things. At my multigun skill-level (low to nil) reloading a shotgun becomes more of a frustration than anything else, and makes the entire match feel like one long shotgun reload. I could practice this more and get better at it, yes, and I will. But in the mean time I will appreciate being able to run around with my rifle making “pew, pew” noises and calling it practice. USCA is less than a year old, and they managed to put together a fun and successful Nationals with creative out-of-the-box stages. I have no doubt we’ll be seeing more from them. See the gallery at gunupthemagazine.com. I’d love to see more of this. I could get a lot more enthused about two-gun than I can about three-gun. Given the time involved in reloading a shotgun compared to a rifle or pistol, it seems more realistic to just transition to one of the other two guns when a shotgun goes empty. I know this ain’t a popular opinion, but the shotgun is obsolete for HD. Hear, hear to getting rid of inane shotgun reloading drills!